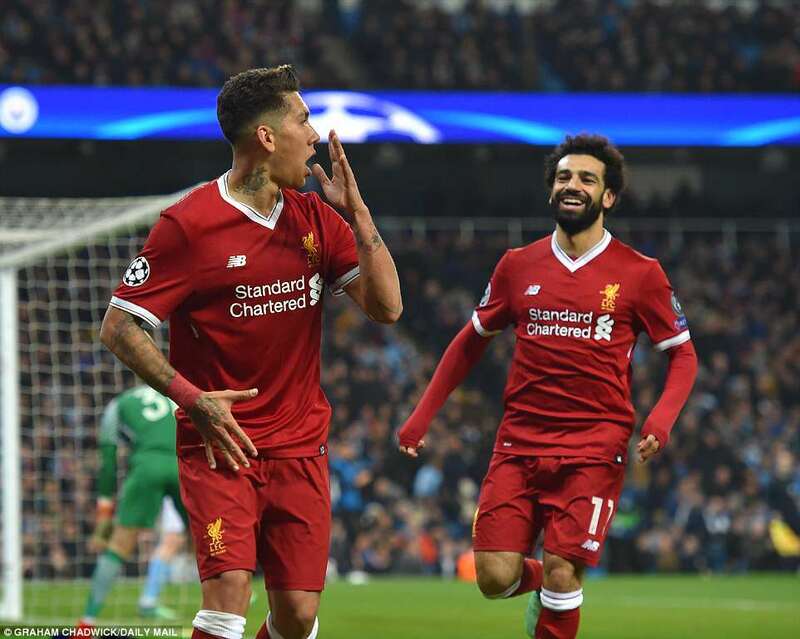 Liverpool pedigree certified in Man City ouster! 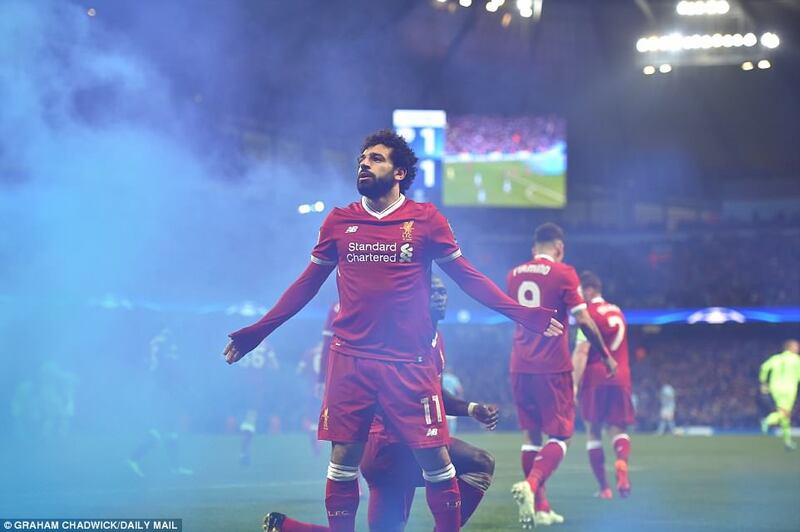 The record books will show that this game slipped away from Manchester City in the 56th minute, when Mohamed Salah scored and left them needing a further four second-half goals. 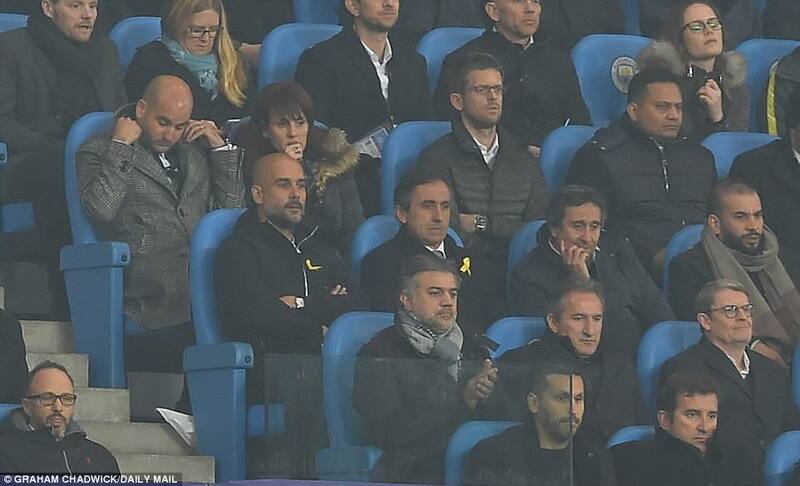 In reality it was probably over some 26 minutes earlier in the evening, when referee Antonio Mateu Lahoz, from Spain, informed Pep Guardiola he would spend the remainder of the match in the stand. There is a reason an orchestra has a conductor. He does not play a solo, not even an instrument, but he shapes the performance of those who do. He sets the tempo, he harnesses the energy of the group. 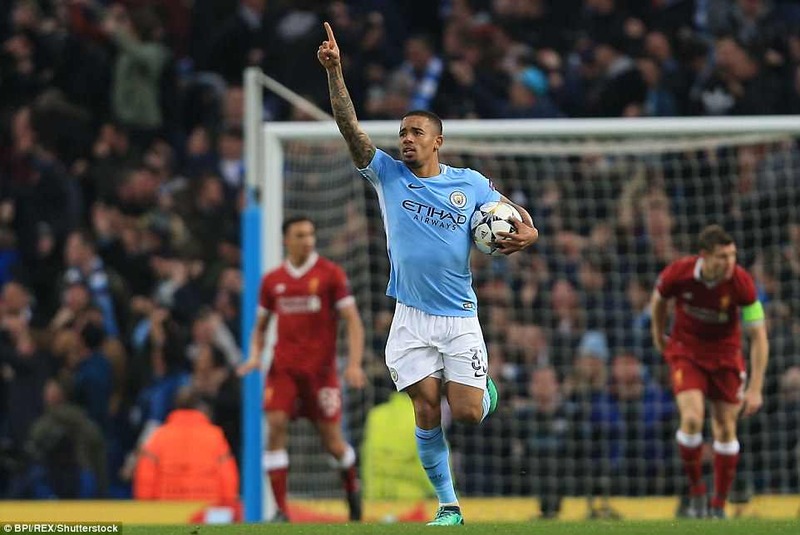 Gabriel Jesus slots Manchester City ahead in just the second minute of the game. 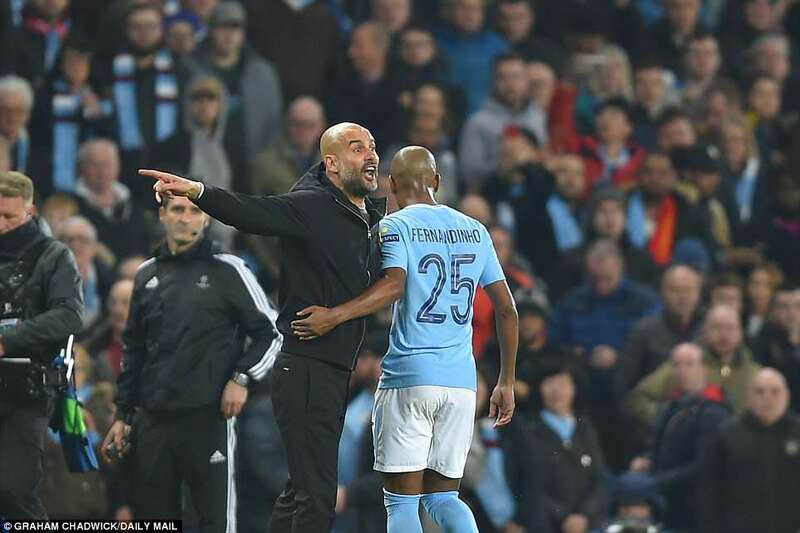 That is what Guardiola does for his players, on the touchline. In his absence throughout the second-half, the technical area sat empty, as if nobody at the club dared take his place, assume his position or authority. He didn’t even leave his yellow ribbon as a reminder of his presence. When the camera panned in on him in the plush blue seats, Guardiola looked forlorn, helpless, like Superman in the face of Kryptonite. When Liverpool scored the second, to win on the night too, he put his head in his hands. This has been a good season, but a very bad seven days for Guardiola and Manchester City. He seems to have lost his way, his clarity of thought. It is not the worst run of his managerial career – he once lost four on the spin at Bayern Munich, incredibly – but it has removed his cloak of invincibility. It is not just the three results, with eight goals conceded, but the manner of the defeats and the opposition. Rivals triumphant, leads lost, goals conceded in flurries, and now this – personal indiscipline at a crucial moment. 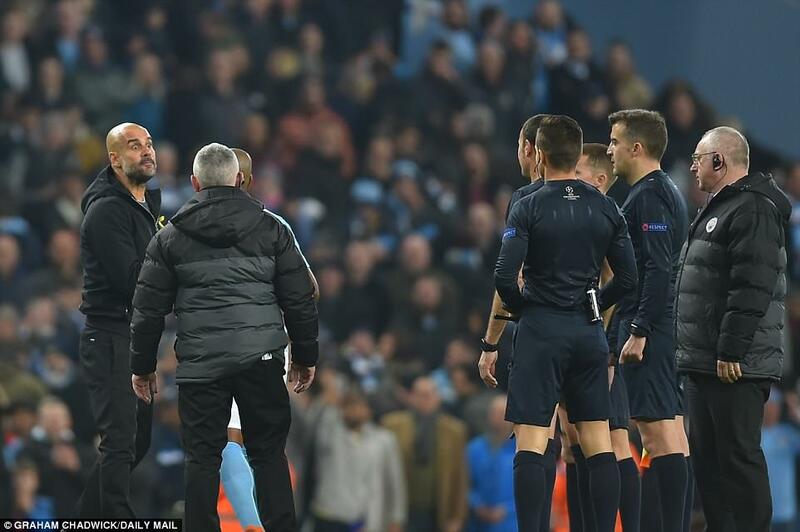 What was Guardiola thinking when he confronted Mateu Lahoz at the end of the first-half? That the official was over-promoted and useless, no doubt – which he is. But that’s exactly the reason it was irresponsible to go near him. Mateu Lahoz looked all night as if he had a match-altering call in him, and he made it. Having already disallowed a good Manchester City goal, to deny them a 2-0 lead, he then banished Guardiola for complaining. Maybe Guardiola needs to wise up. His circumstances have changed. He is no longer at the helm of one of UEFA’s darlings, Barcelona or Bayern Munich, the elite of the elite. 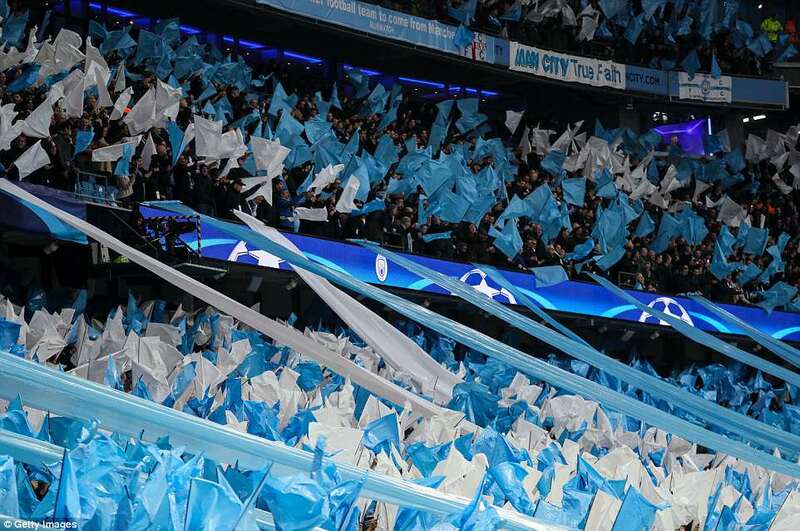 Manchester City is the club that challenged financial fair play; that pays £50m fines; that boos the Champions League anthem. Equally, one can only imagine the wider Spanish view of a high profile individual who wears his support for Catalunya’s self-determination as a badge of honour. 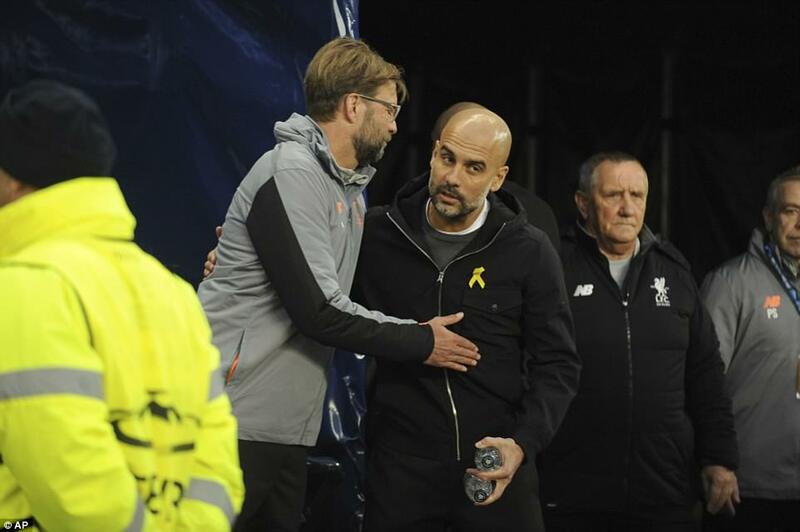 That is not to say Mateu Lahoz was settling scores – for his employers or his nation – just that Guardiola is no longer on the side of the angels. When his anger spilled over he was treated like any old Mourinho. No wonder he looked stunned. 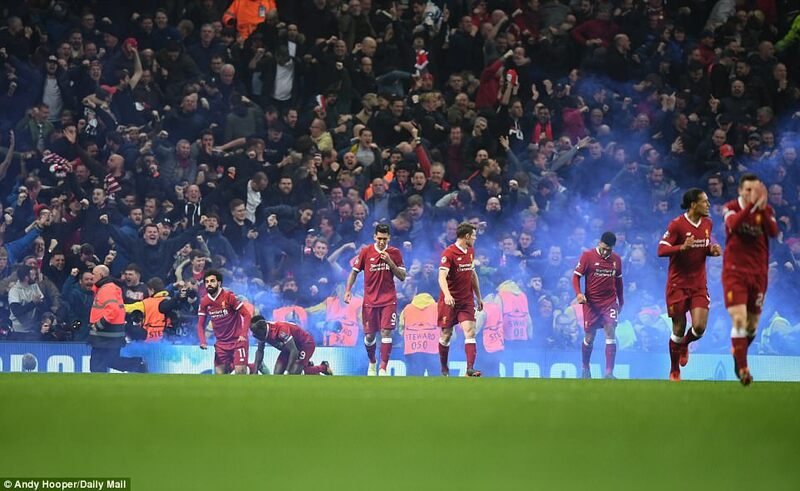 This is to take nothing away from Liverpool, who thoroughly deserved their emphatic victory over two legs. 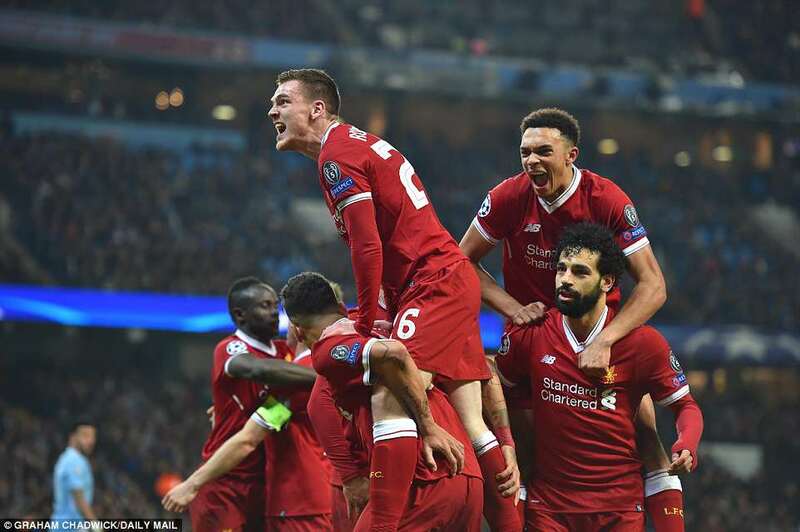 An aggregate score of 5-1 was every bit as masterful as it appears and, just as questions are being asked of Guardiola, so Jurgen Klopp deserves every ounce of praise thrown his way. 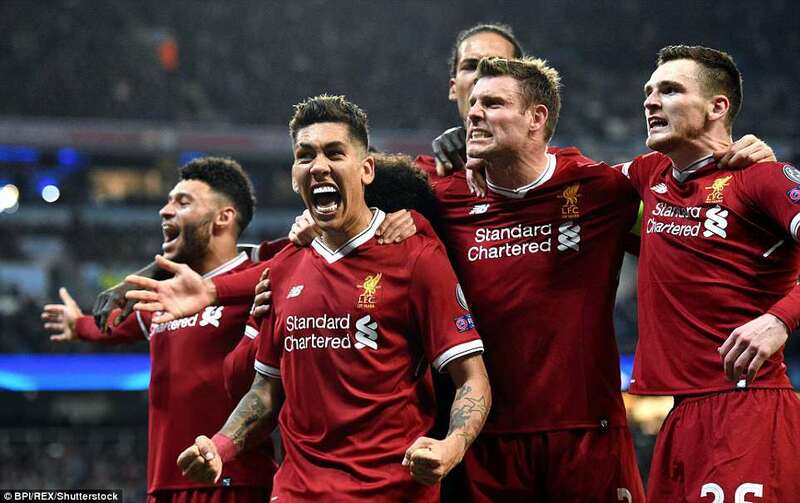 His team having been outplayed in the first-half, he got them in and sent them out rebooted in the second – more ambitious, unafraid to gamble, and within 11 minutes their away goal had ended the tie as a contest. 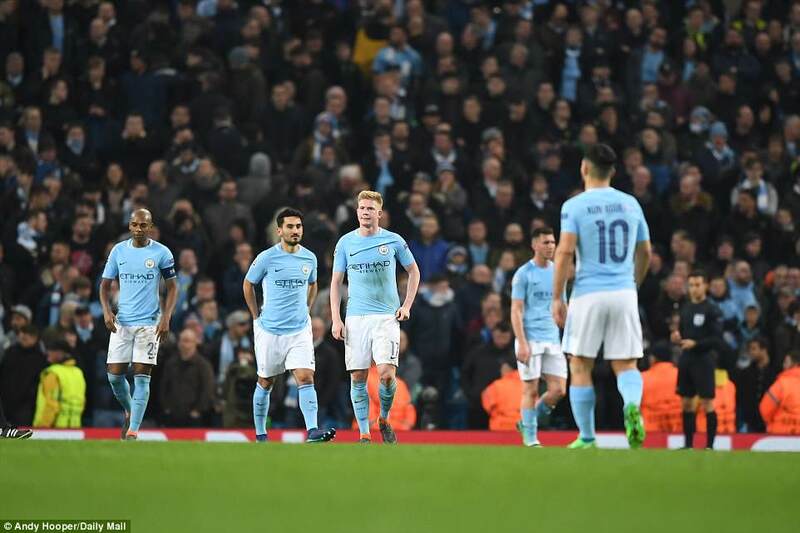 Most importantly, they were clinical in a way Manchester City were not; they took chances where their opponents squandered, just three shots on target in 180 minutes. Having crushed City’s spirit with the first goal, it was almost inevitable that they would go on to win the match. Georginio Wijnaldum started the move that led to Liverpool’s equaliser, finding Salah who freed Sadio Mane, staying upright when it would have been tempting to fall in the area under pressure from his City pursuers. 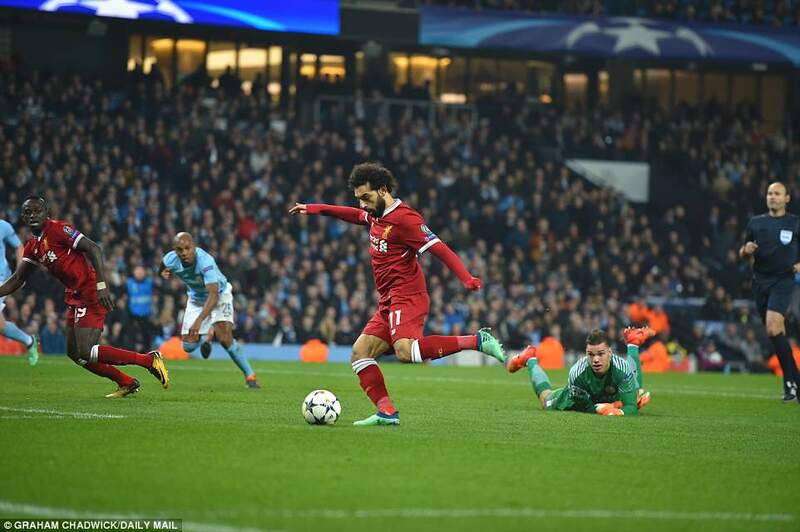 Ederson, in the City goal, looked to have mopped up the loose ball, then spilled it, allowing Salah to perform his trademark finish. Close range, no panic, lifting it into the net, coolness personified. 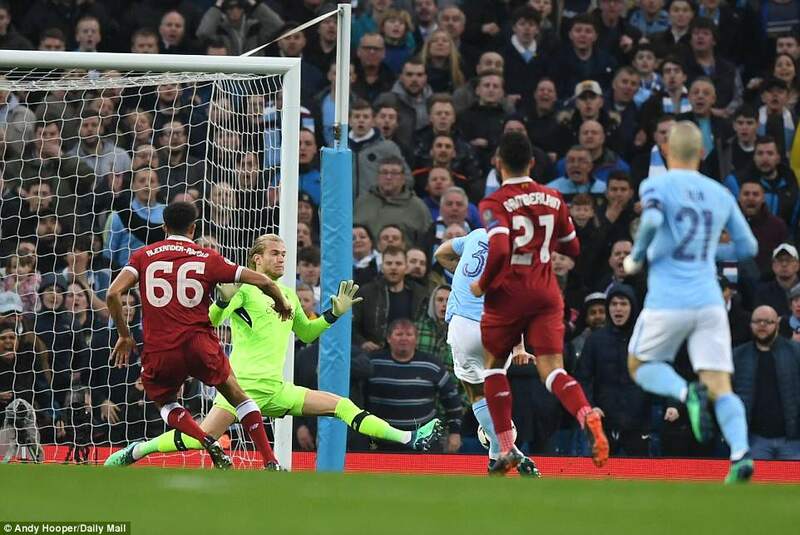 It was already done, but Liverpool thrust a second stake through City’s heart, to make sure. 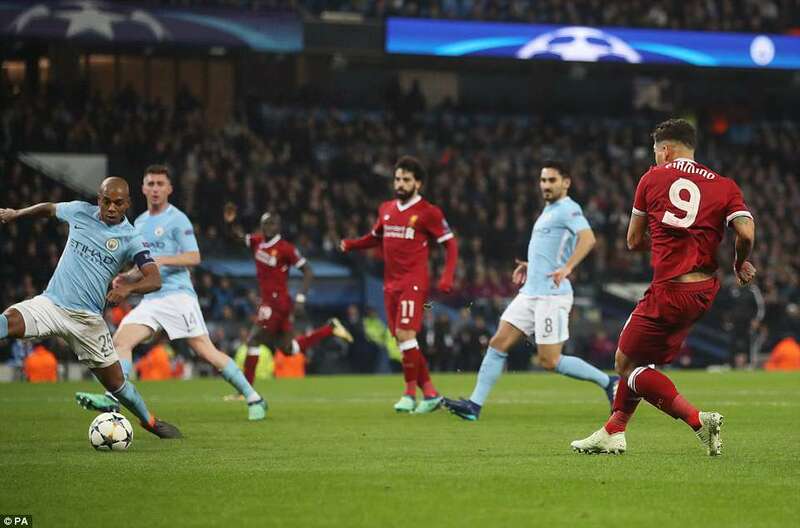 Nicolas Otamendi dawdled, Roberto Firmino – arguably Liverpool’s man of the match – caught him in possession on the left, strode on and finished smartly past Ederson. The home fans began a steady trickle towards the exit. Once again, their hopes had been dashed. 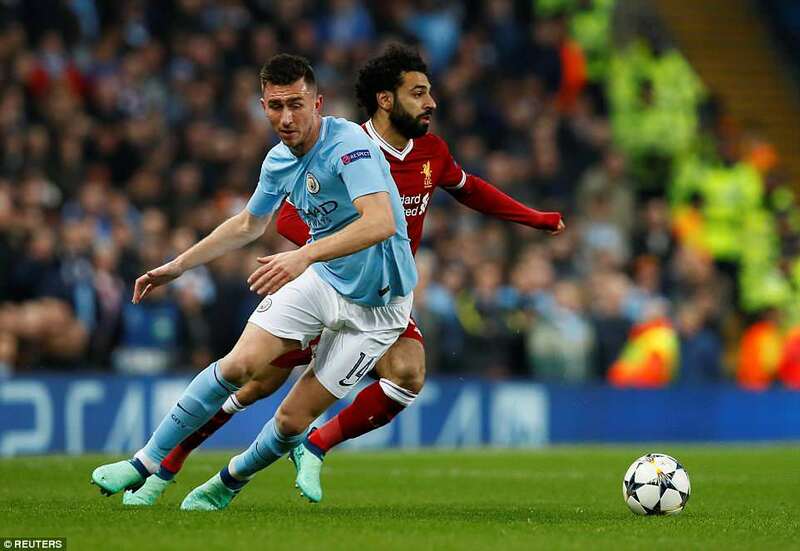 For, previously, as magnificent as Liverpool had been in the first-half last week, so City were across the opening 45 minutes here. The difference being that, while Liverpool got the goals and the advantage across the tie, City went in frustrated. Maybe that, too, was part of Guardiola’s misguided decision to confront Mateu Lahoz. True, the official had hardly covered himself in glory in the first-half. 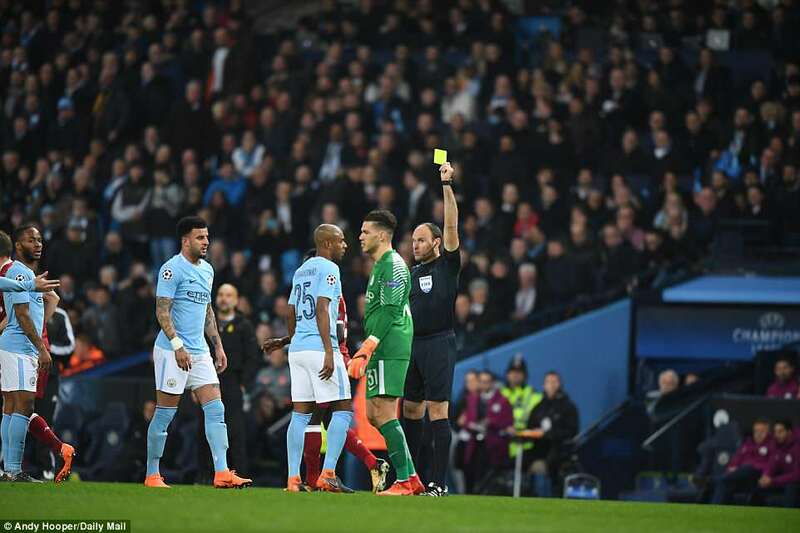 He had waved away two penalty shouts that could have gone City’s way, gave offside against a good goal and seemed very relaxed about the time Liverpool goalkeeper Loris Karius was taking to bring the ball back into play. 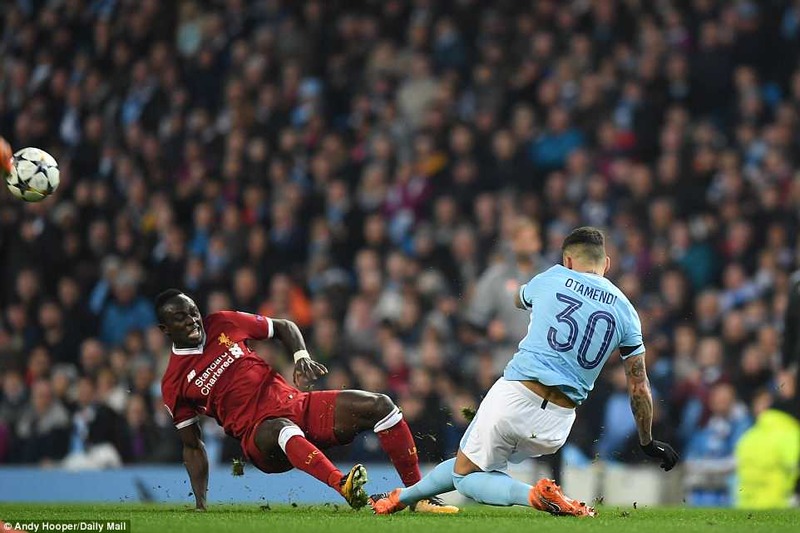 That said, Liverpool claimed Virgil van Dijk was fouled for City’s first goal, and Mane had been booked for a tackle on Otamendi that looked horrendous in real time but, on closer inspection, turned out to be a case of the striker slipping on the wet surface and skidding into his opponent. It was sheer bad luck, not ill intent. So Mateu Lahoz was an equal opportunities offender. He didn’t do anyone too many favours and Guardiola had a responsibility not to jeopardise his best laid plans. For it was going very well, to that point. 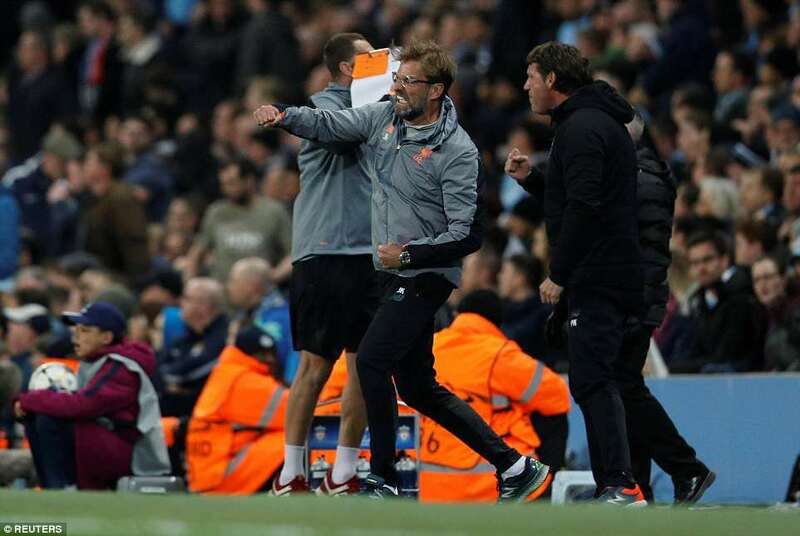 If Guardiola had sent his team out with a message it was to be relentless and Liverpool could not get off this ride. The passing carousel, Sir Alex Ferguson would call it when his teams farced Barcelona, but this was more a wall of death. It spun, but faster. 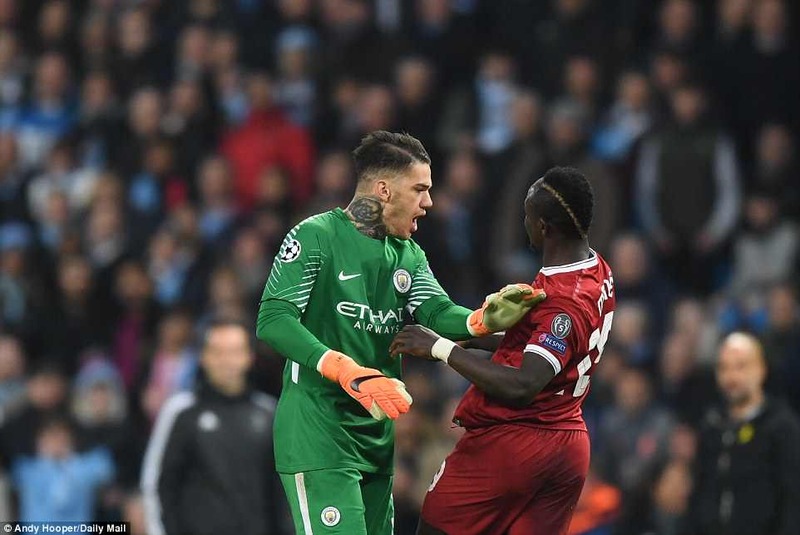 City met Liverpool’s fire with one of their own, fast, furious, ball boys and Ederson recycling in an instant. Liverpool were never allowed to gain composure, to step off, to stop moving. It did not help, either, that they conceded from the first attack of the game. 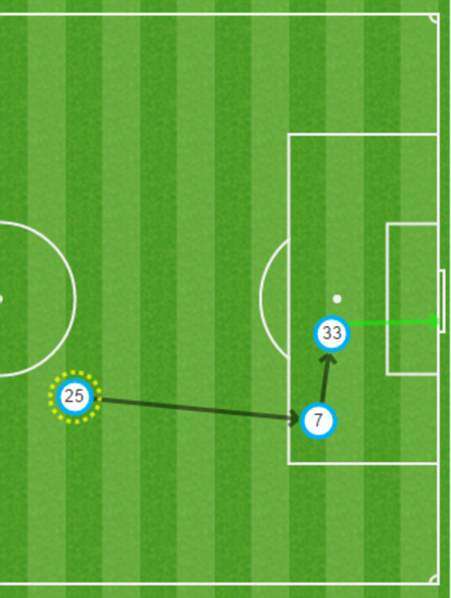 Just one minute and 57 seconds had passed when Manchester City scored. 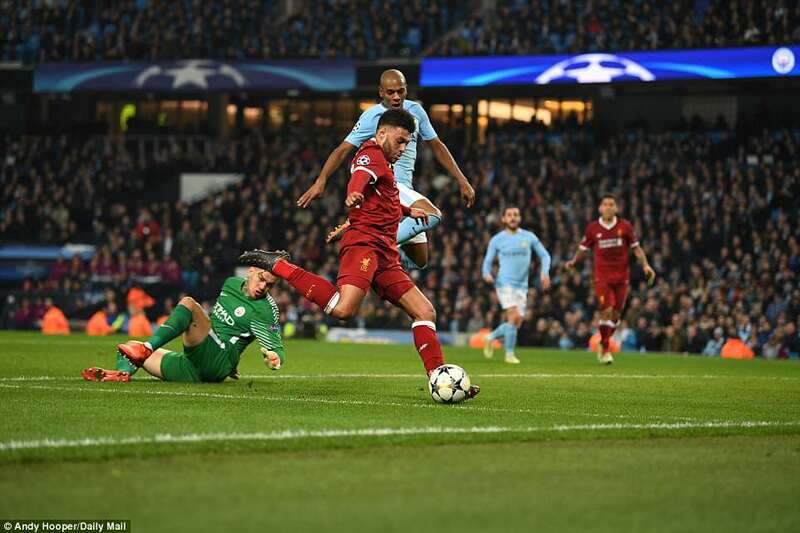 Van Dijk has been credited with stabilising Liverpool at the back, but he flapped here, losing out in a challenge to Raheem Sterling and debating the decision rather than moving on with the game. 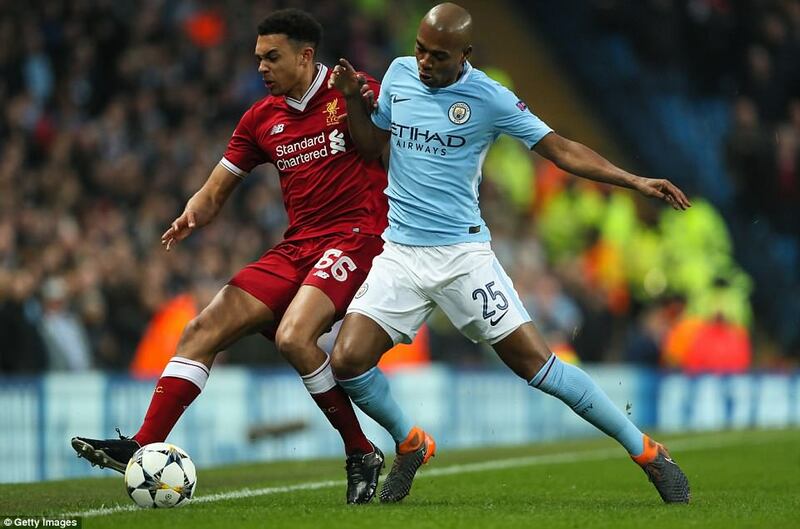 The ball was played back in to Sterling who broke through the gap vacated by Van Dijk and squared to Gabriel Jesus. So ineffectual in his last two games, the first leg and the derby on Saturday, his finish was mustard here. He beat Karius at his near post, first time. Then, those controversial calls. 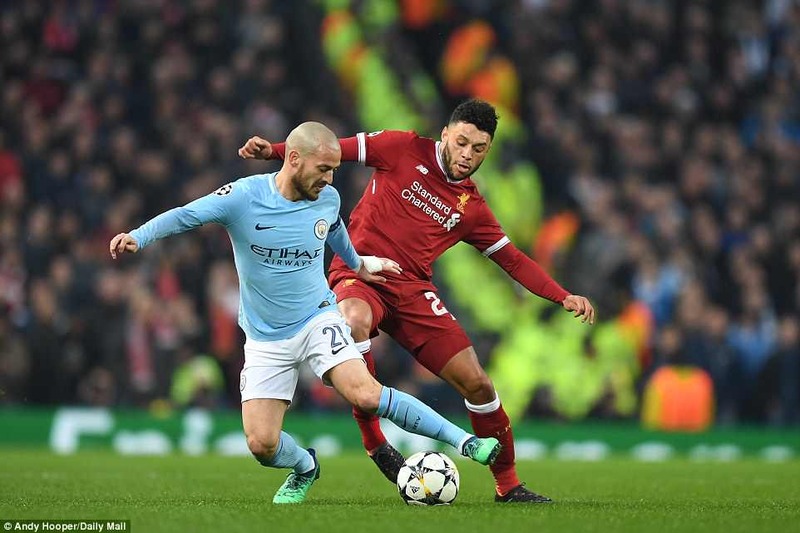 Bernardo Silva had a shot on 30 minutes blocked by James Milner, who looked to have moved his body, including his arms, towards the ball. Mateu Lahoz was unmoved. Next up, a challenge by Andrew Robertson on Sterling that certainly looked like manhandling, even if the City man tumbled quite easily. Was it a penalty? Maybe. Seen them given? Definitely. Finally, the goal, turned in by Sane after Karius had come for the ball and failed to collect. The scorer was flagged offside, which he would have been, had the ball not been diverted into his path by Milner. It was this, in particular, that Guardiola seemed incensed about. 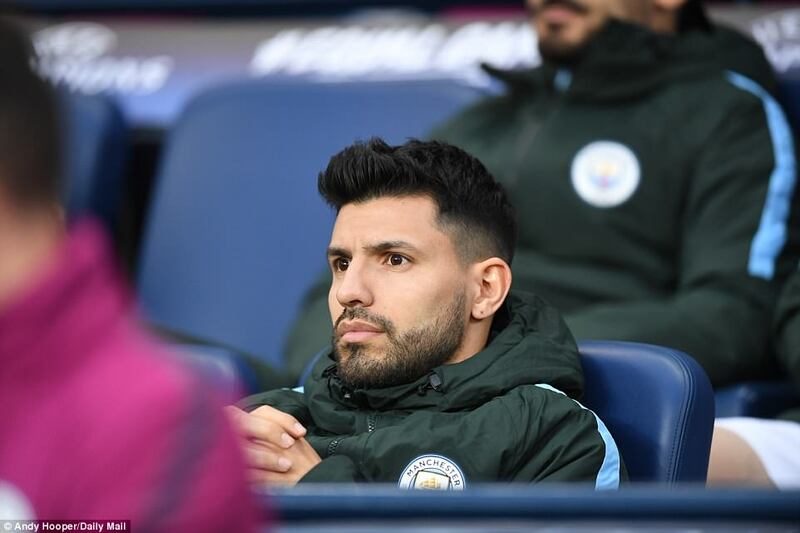 His mood would not have improved when Bernardo Silva hit a post. And it was all downhill from there.